They shriek to call Nightmare Freddy. 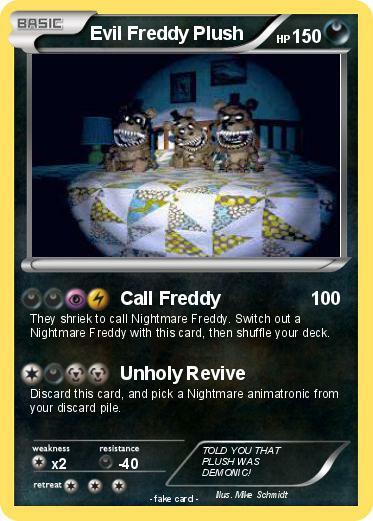 Switch out a Nightmare Freddy with this card, then shuffle your deck. Discard this card, and pick a Nightmare animatronic from your discard pile. Comments : TOLD YOU THAT PLUSH WAS DEMONIC!